For Regional Director, Kendra Gray, every fall for the past eight years means one thing: Havasupai trip preparations. Each year, about 25 exchange students along with a few local coordinators and some host families gather for a few days of camping, hiking, and volunteering in breathtaking Arizona landscape. It is an experience that everyone involved looks forward to and cherishes afterwards. The students love the trip as well, and while the main attraction might be the fun of camping with friends out in the wild beauty of their host country, the joy of giving back by volunteering with CCI Greenheart’s Greenheart Club is usually one of the lasting memories of the trip. 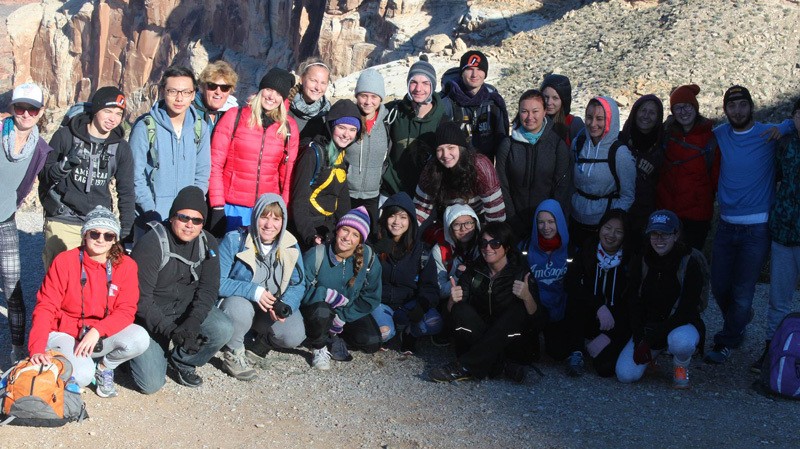 During the trip, the students and families meet the Native American tribe that lives within the Grand Canyon Park and are sustained by the tourism industry. After learning a bit about these people, the students help to clean the park, which is unfortunately littered by visitors. Learn more about how you can join the CCI Greenheart family as a host, exchange student, or local coordinator!